The orange Monarch butterfly has recently become popular for release at weddings and other special events simply because the butterfly itself is so beautiful. 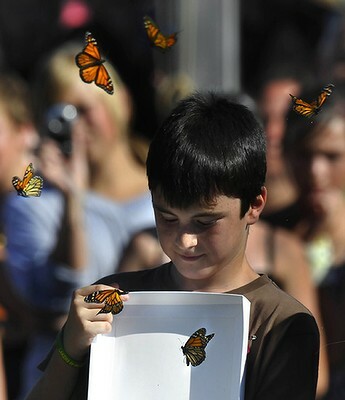 But did you know that by releasing butterflies at your special event, you can actually help the environment? The live monarch butterflies are hand raised on our special butterfly farm where we plant hundreds of host plants to feed our butterflies and caterpillars. These plants absorb carbon dioxide and help to reduce the amount of pollution in the air. The caterpillar of the Monarch butterfly will eat it’s host plant which will then grow back bigger and better than before so that it can absorb even more carbon dioxide. We use all natural compost to nurture our plants, with tank water and a minimal amount of electricity used in the process as well. The main waste that comes from farming butterflies is some dead plant materials from pruning etc and caterpillar poo! This is all made into compost which is returned to the farm to help nurture the host plants. Any water used for cleaning is normally collected and used to water the plants. 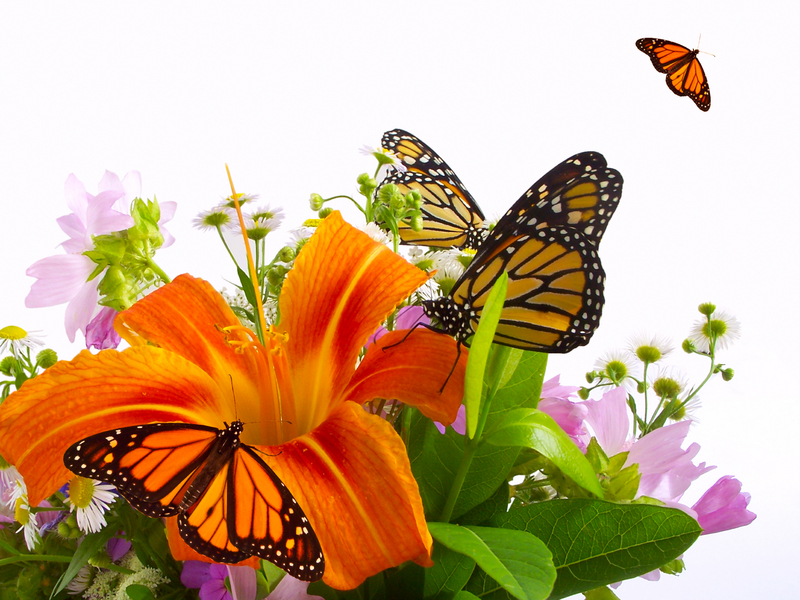 The butterflies do not add to waste or landfill and are a natural part of our ecosystems. Once the butterfly gets old and dies, it will become food for ants, lizards or birds. Our release boxes and packaging are also recyclable, or you can even re-use them. Butterfly farming is not harmful to our ecosystem and is actually beneficial for the environment. We help to reduce pollution by planting hundreds of plants in our farm, and when the butterflies are released back into the environment they become a crucial part of ecosystem. As they feed on the nectar from flowers they are covered in pollen from the plant, and when they feed on the next flower they help to fertilise that plant which will then produce seeds, which will in turn make new plants! These plants then absorb carbon dioxide which further decreased the carbon dioxide in the air- releasing Monarch butterflies is so good for the environment! !